Hind Makki is an interfaith educator who holds a degree in International Relations from Brown University. She develops and delivers trainings on civic integration through interfaith action, anti-racism education and youth empowerment. Hind Makki is an interfaith educator who holds a degree in International Relations from Brown University. She develops and delivers trainings on civic integration through interfaith action, anti-racism education and youth empowerment. She travels throughout the United States and Western Europe, working with diverse communities, leading workshops for civic leaders, interfaith activists and university students. She is currently a Religious Advisor to the Kennedy-Lugar Youth Exchange & Study (YES) Program. 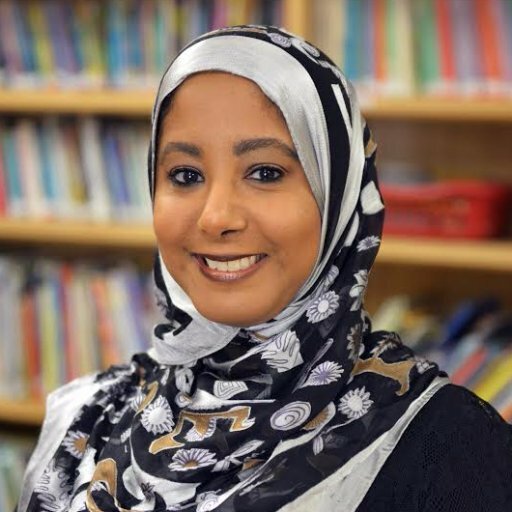 Hind is an internationally recognized speaker who focuses on promoting interfaith cooperation, active citizenship, and developing Muslim women’s leadership. She has spoken at Austria’s Muslim Teachers’ Training College in Vienna, Holland’s Erasmus University in Rotterdam, and Germany’s Friedrich Ebert Stiftung in Berlin. She was a panelist at the King Abdullah bin Abdulaziz International Centre for Interreligious and Intercultural Dialogue (KAICIID) Global Forum and has been sponsored by the US State Department to speak at various interfaith and academic venues in Belgium. In 2008, Hind participated in the “Muslim Youth Project” exchange program in The Netherlands and was a 08- 09 Fellow of the American Muslim Civic Leadership Institute. Locally, she co-developed and implemented One Chicago, One Nation, an initiative of the Interfaith Youth Core, which connected diverse Chicagoans through interfaith dialogue, community service and philanthropy. During her time at IFYC, she also collaborated on developing the training roster for university-focused Interfaith Leadership Institute conferences, training hundreds of students from across the country.